Hand dyed sock yarn. 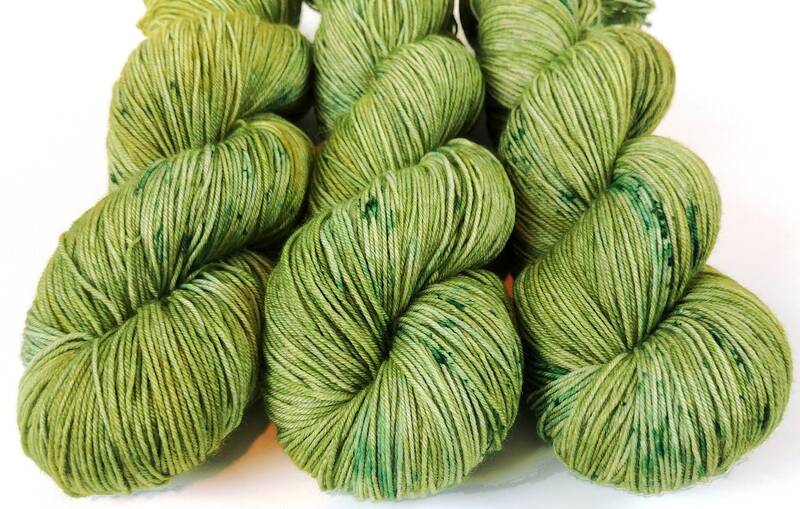 This yarn is dyed in a tonal mossy green with a light speckling of dark green and a few specks of a reddish-brown. 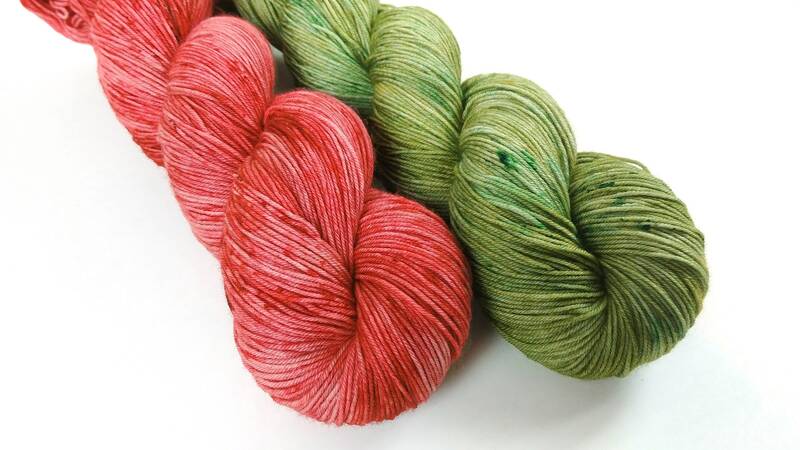 The second photo shows this yarn paired with the colorway Chimney, which is available separately. This listing is for 1 skein of Staple Sock.